Momoka has become my favorite, I think because I consider her a bit of an underdog in the group. I suppose what I mean is that she's not as popular with the fans as the other girls, so she doesn't get as much recognition. And she doesn't have a dancer's physique; she has to work harder to get that short little body to move acrobatically and gracefully. With 5 members in the group, Momoka also gets left alone in some of the non-performance videos I've seen. Reni and Ahrin are usually together, and Shiori and Kanako are a pair of clowns together. Momoka is often left to tag along with whoever is nearby. The latest Ustream video (September 21) is a typical group setting. Two pairs of girls laughing and talking together, with Momoka in the middle sitting quietly. Maybe she is just more serious-minded than the others, but I feel a bit sorry for her. Anyway, she has a great singing voice and I love her moonwalk. If I had the chance to meet and talk with just one of the girls, I would choose the little giant. Maybe she would get out her notepad and draw a picture for me. Actually Momoka is hugely popular, second only to Kanako. She's also the best dancer because she's been doing it the longest. On September 22nd she was busy reading the comments, as usual. I suppose what I mean is that she's not as popular with the fans as the other girls, so she doesn't get as much recognition. Many of my friends are fans pushing Momoka and A-rin. And please look at the number of comments from fans for her blog. I think she is popular. And she doesn't have a dancer's physique; she has to work harder to get that short little body to move acrobatically and gracefully. I think so too. Her physique will affect at least dance. However, her dance skills is the best in the member. Other members have the respect of her dancing skills. Akarin(Blue) who is also a former member said about Momoka. I think if she has a problem with it, it's a health management capabilities. Because of the bad physical condition, did not she sing in a concert in Malaysia. There was such a thing a few times. With 5 members in the group, Momoka also gets left alone in some of the non-performance videos I've seen. Because members hate Momoka, she has been left alone? Sometimes fans to discuss it. And many fans noticed it is not a problem. In the blog, she said, "I do not have the ability to comment interesting. Ability that I want to learn in the future"
This is a video of last year's Onna Matsuri live(Women's Festival). The audience is all women. It was difficult for her to sing with poor physical condition. This part is a solo part of Momoka. However, her solo part is singing along with other members. 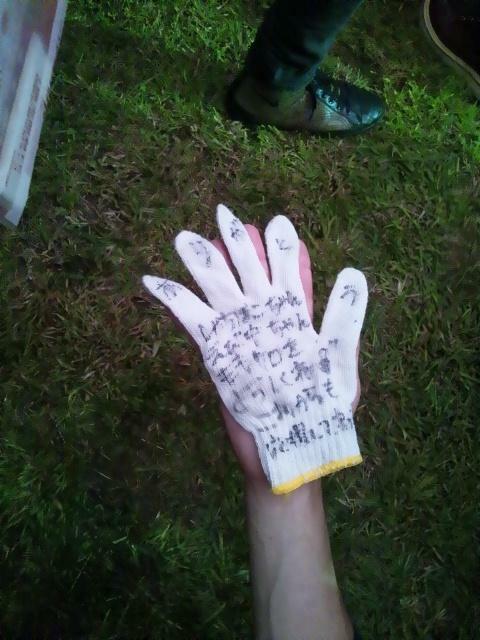 Kanako has been caring for Momoka. Have seen this video many times, I am always impressed. Do other members leave Momoka alone intentionally? Momoka challenges it again in Onna Matsuri on October 5. Thanks for the comments, and for correcting my misperceptions. :-) I don't mind being wrong; I'm glad to know that Momoka is not quite the "misfit" that she sometimes appears to be. She is still my favorite! She is also the best blogger in the group, even though I barely understand what she's saying most of the time. She is also the best blogger in the group, even though I barely understand what she's saying most of the time. In case you're using machine translation, it fails because Momoka writes very colloquial, often including her speech defect. Ha! It's both, actually! I don't know any Japanese, and have to use Google plus an online dictionary. I admit most of it is incomprehensible, but I can get a general idea of what's being written. For example, in Momoka's latest blog she mentions a big thunderstorm, the autumn weather and the sudden temperature drop that warns of a typhoon. Then something about introducing a new fall program on NHK, which I'm guessing is TV? I looked at the website, but couldn't quite get the idea. (The girls' video clips were hilarious.) Then she announces a collaboration with somebody to bring out the plush "catchers", which must be those little plush things I've seen on a recent video. Finally, after some gibberish about spending a lot of money at the arcade, her mother made her lunch, which is apparently unusual. So, sure I miss a lot but I can still piece together enough to make it interesting. No typhoon, just asking people not to catch a cold. NHK is like PBS, but they don't get another show, only present the programming on that site. You only get the plushies from playing crane games. She asks people not to spend too much on that. IIRC she usually does her own lunch, for practice. I wish it was interesting Momokatari(UST). I can hear the real voices of the fans. I wish I want to talk a lot more. I want to Momokatari that everyone can enjoy together. Oh, I want to be able to talk to a nifty. I hold a conversation with bad timing. Often, the conversation is over. When I came up with a word that I have nifty. I may not be able to respond to during a conversation. I regret after it was over. Comedian speaks with exquisite timing. I want to be able to speak with exquisite timing quip too. I am not good at acting and comedy. In addition, I smooth tongue is bad. However, expression of emotion is second to none. I will continue to cherish the ability to express themselves. Momokatari was so much fun. almost like a sidewalk cafe. In the future I'll have to talk more for you to enjoy Momokatari. Oh, how I want smalltalk skills! With bad timing like mine, you freeze while you think of something clever, the conversation moves on, and when you're ready to slip it in the moment has passed. That happens a lot. When I'm ready to go the pass doesn't come, and when it finally does I tense up and throw a weird return. That's what I really regret afterwards. so my delivery is bad. But at least at showing my emotions I'm as good as anyone. I don't ever want to lose that trait. Your reading comprehension is amazing. Your English is good! Keep writing! So her and I have at least one common point, that we aren't always able to speak or answer properly xD I'm also bad to express my feelings or opinions with words... And very shy. But this is something which makes her really cute. I love my little clumsy Momoka. I understand this perfectly, because I'm the exact same way. It sounds like Momoka is a classic introvert. 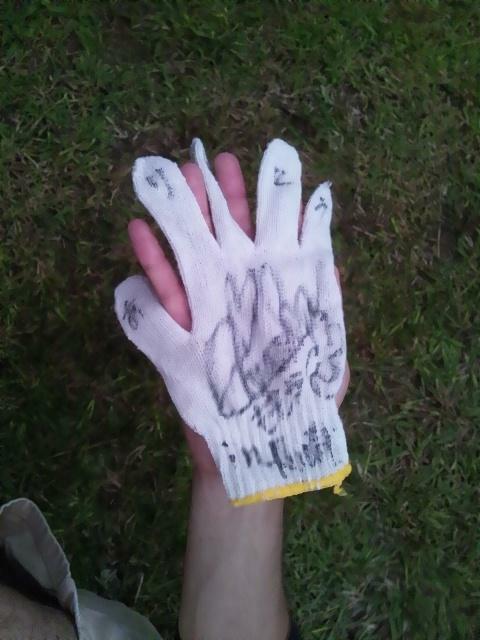 It is the gloves that Momoka threw. Please support us in future. Is that words of the mind glove? Momoclo sings this song well recently. I'm glad because I love this song.